The Time Has Come To Date Offline! 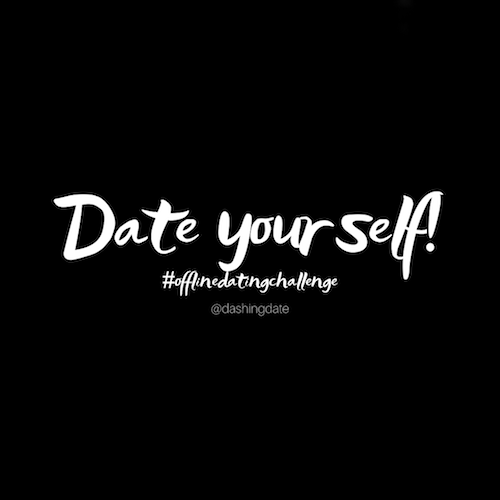 Our14 Day Offline Dating Challenge requires you to abandon your online dating profile (temporarily) to take a stance against ghosting, wasted energy, and disingenuous conversations. 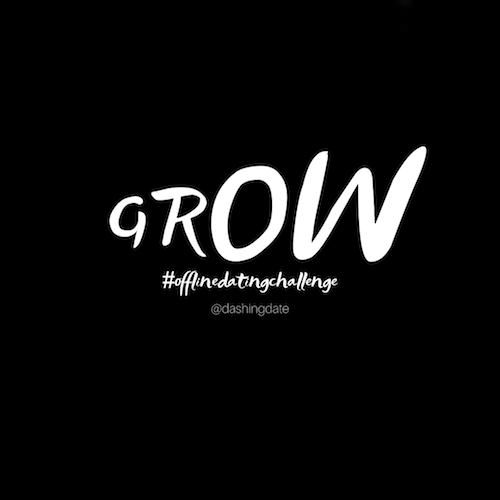 From Feb 1st to 14th, we’ll be sharing daily posts with concrete tips that will guide you through the challenge, one step at a time. 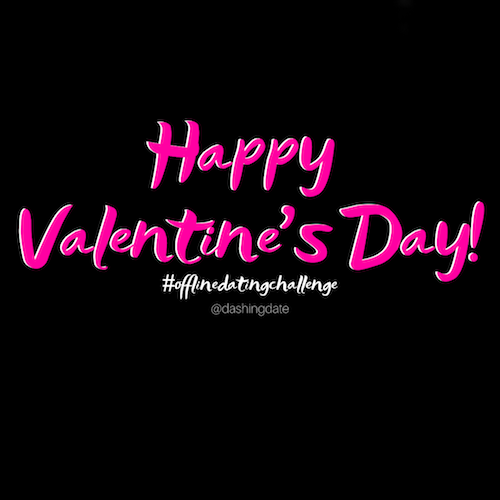 Each post will lead you to take a step forward in your offline dating life, gain confidence, and create more meaningful connections. Remember, this is not a permanent thing and we’re not against online dating. We just know that as soon as you become reliant on something, that’s when a break necessary. You can actually meet someone in the real world! 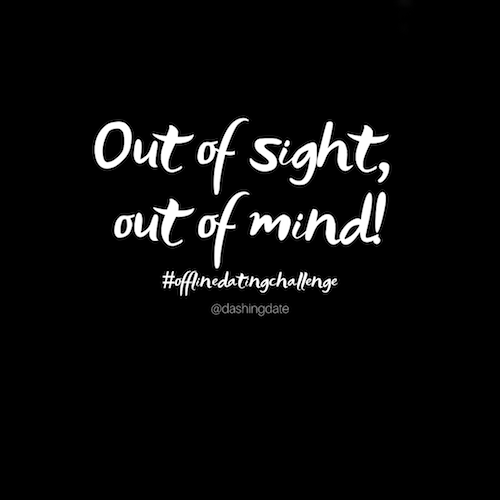 Plus, completing the challenge will let you re-enter the online scene with a fresh and more intentional perspective. 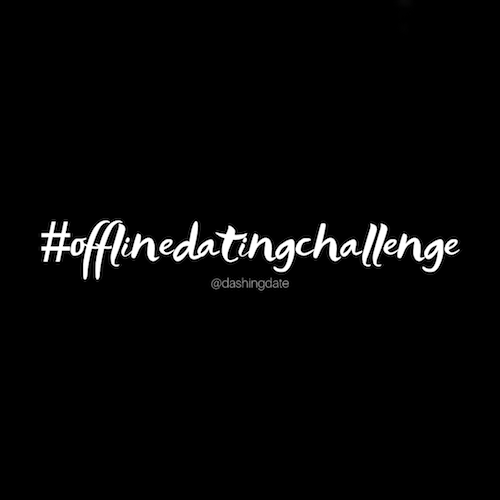 Join in the fun on social media by sharing your journey, learnings and anything else using the hashtag #offlinedatingchallenge. 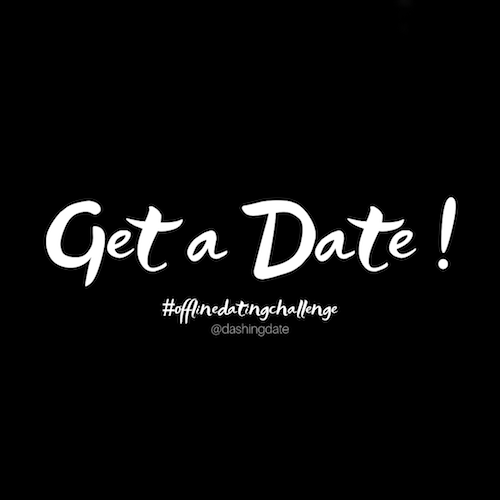 Don’t forget to follow and tag us, @dashingdate. 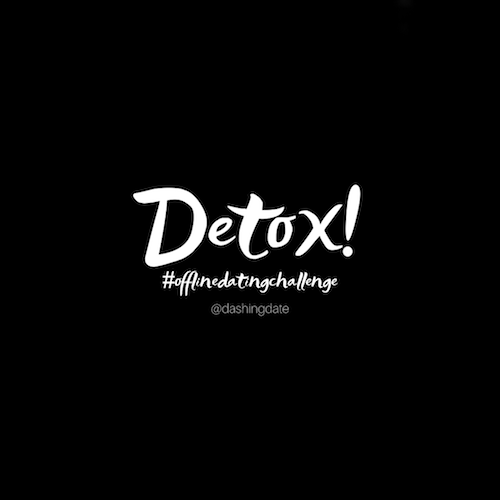 You can follow the challenge right here, on Instagram, or on Facebook. New posts will be shared each day at 12PM. Bring any ongoing conversations within your dating apps to a close (ghosting ain’t cool). This will allow you to transition without lingering thoughts of wonder or what ifs. It’s time to delete your dating apps. You don’t have to delete your accounts but it is important that you remove the apps from your phone so you’re not tempted to check in when you’re feeling curious or bored. Take a deep breath and… Bye, Felicia! Allow yourself to get used to the change of no longer having access to your dating apps. 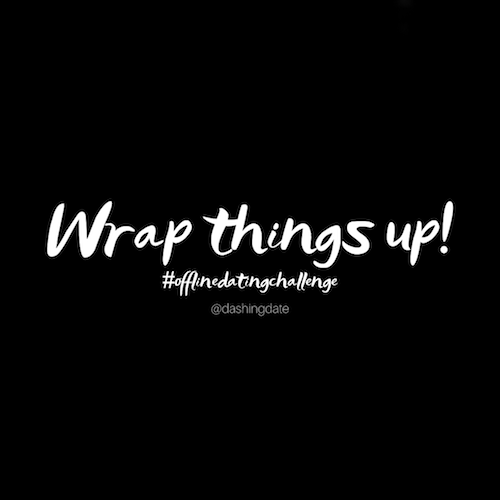 If you have FOMO and feel like jumping back on, take a few moments to remember you why you started this challenge. Delay for as long as you can. Online dating can take up a lot of time and energy so now, without dating consuming your life, redirect that time and energy to an area that could use some nurturing. Is there a person in your life who’d love some extra attention, like a family member, friend, or… dare we say it… YOU?! Invest some time today be it a phone call to mom, an outing with a friend, or a hot bath and a good read. Go out and meet someone in real life, now! Ok ok, we’re kidding! But at least start thinking about it. Here’s how. First, get into right mindset by reminiscing about how real-life crushes used to make you feel. Go way back to high school days, and remember those intense butterflies. Pro tip: Dig up some old love notes if you have them! Second, think about how you used to meet people before online dating existed. Give it a minute, that time existed. Lastly, think about what you’d do if online dating didn’t exist ever again. Seriously, what would you do? It’s time to get in tune with your feelings. Before you roll your eyes, give it a chance, we know what we’re talking about. 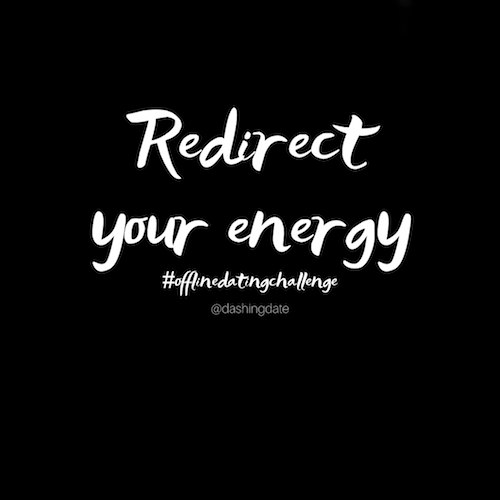 This is an effective exercise we do one-on-one with our coaching clients, and we’re sharing it here, for free, for you. How do you meet? Where do you meet? What are the first few words exchanged? What do you feel inside that makes you know you like this person? How do they treat you? How do the first few weeks play out? Why is this exercise important? Now that you’ve started to get more in touch with your feelings, let’s dive deeper. The next step is to drop your dating checklist. Because it is limiting you. 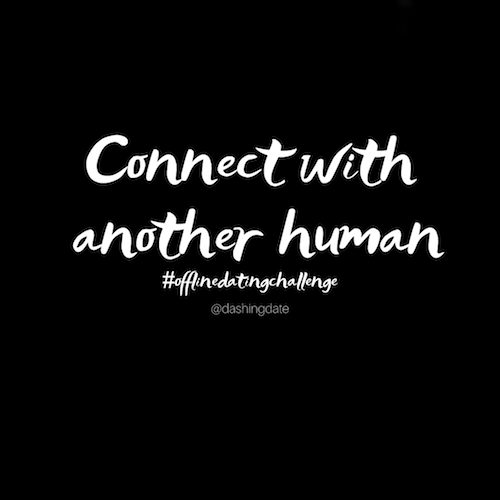 Write down 10 ideas on how you can meet someone offline. 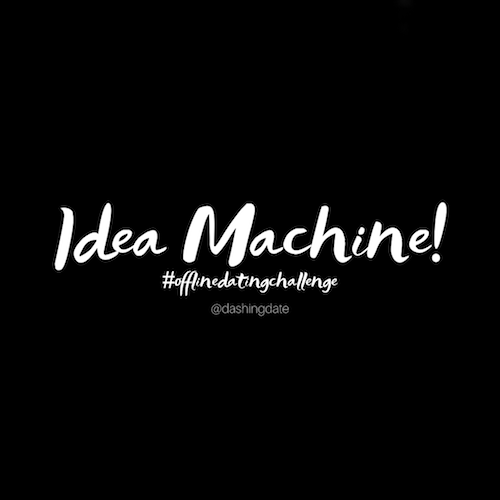 Take it one step further by adding 3 additional ideas to each one. “Make the first move after the event”. You’ve already spun the wheels about this on Day 5 of the challenge, now it’s just putting everything on paper. 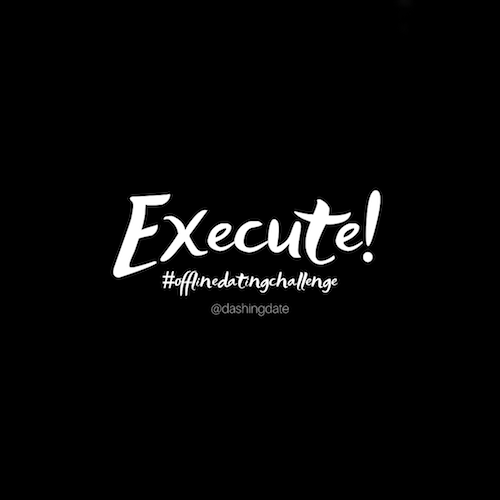 If this feels hard, remember… this is a challenge after all. 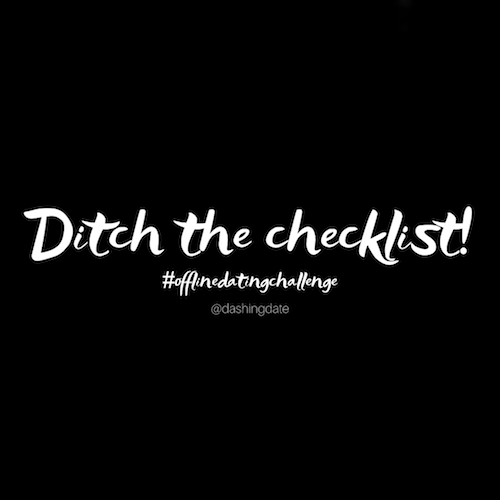 Choose one or two things from yesterday’s list and make a move. Ask a friend to set you up on a blind date, sign up for a speed dating event, start a conversation with someone cute at a coffee shop. Today you’re either going to do something or commit to something new and different (that you can’t back out of). It can be anything as long as it’s totally out of the box for you, on your bucket list, or scares the hell out of you. How extreme you choose to go will vary from person to person but it could be asking someone for their number, going to a salsa dance class, or jumping out of a plane. You can also substitute something positive in place of a bad habit, like opting for a night of classical music and meditation instead of binge watching Netflix. As long as it’s out of your comfort zone, you will grow from the experience. What’s something you want but have been waiting to be in a relationship to have? A romantic dinner, a fancy gift, affection? Today is the day you no longer wait, because YOU don’t need someone for that. Treat yourself the way you want someone else to treat you. Kiss your own arm up and down (we’re so dead serious), write yourself a love note, take yourself out on a romantic date night. Of course, we understand that there are things you want to experience with a partner, and that time will come. But, in the mean time, wrap your head and heart around the idea that you don’t have to go without until then. This may feel uncomfortable but that’s exactly why you’re going to do it. Today you’ll say hi, wave, or smile at a stranger. You’ll ask a cashier how their day’s going and you’ll offer help to someone who may or may not need it. 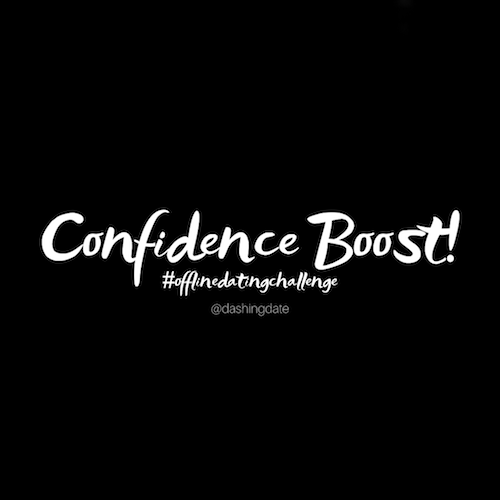 Nothing is sexier than confidence and today you’re going to do a short and easy exercise that will boost yours to where it needs to be. Write down at least 10 positive things that you have to offer as a partner in a relationship. Why would someone be lucky to have you? What amazingness have you contributed to your past relationships? Bringing this to the forefront of your mind will allow those qualities to shine through, be it online or offline. By practicing this type of exercise regularly, you are less likely to be communicating from a place of desperation or insecurity. Ok, back to it… the last tip. The last step. The very thing we’ve been preparing you for is finally here. With all the work you’ve done these last two weeks, you may have a strategy that you’d like to test out. If so, go for it! Otherwise… try this…. Look for someone you find attractive and tell them you think they’re cute! Believe it or not, this is one way we used to meet people… by approaching them! We had to seize the opportunities that came our way. This may go over easier for women than men, but men: you can pull this off too. The right approach is everything, you must be polite, sweet, and respectful, maintain some physical distance, and if you’re shy, thats OK, it can work in your favour. 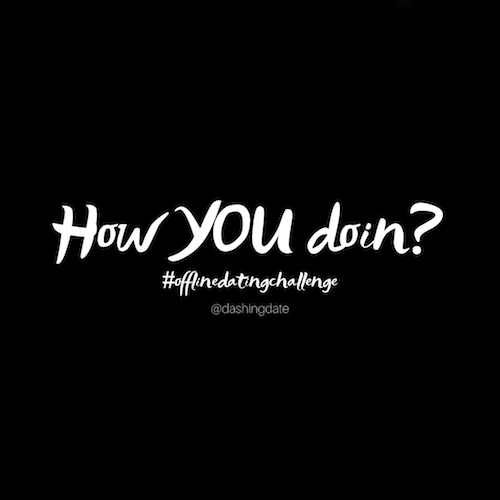 While your ultimate challenge is to get a date, or a phone number, getting through this act is a win in itself! We don’t have the space to list the benefits that will come from doing this, even if there’s no immediate reward. Pro tip: Since being rejected is a huge fear for most, preparing for it in advance is one of the best ways to eliminate it or at least some of it. So in this case, pre-planning what you’ll say if things don’t go in your favour is key. For example, if they say, “I’m flattered but I’m not single!’, you can say “in that case, enjoy the compliment! Nice meeting you.” Smile and walk away. Start taking more risks in your dating life.